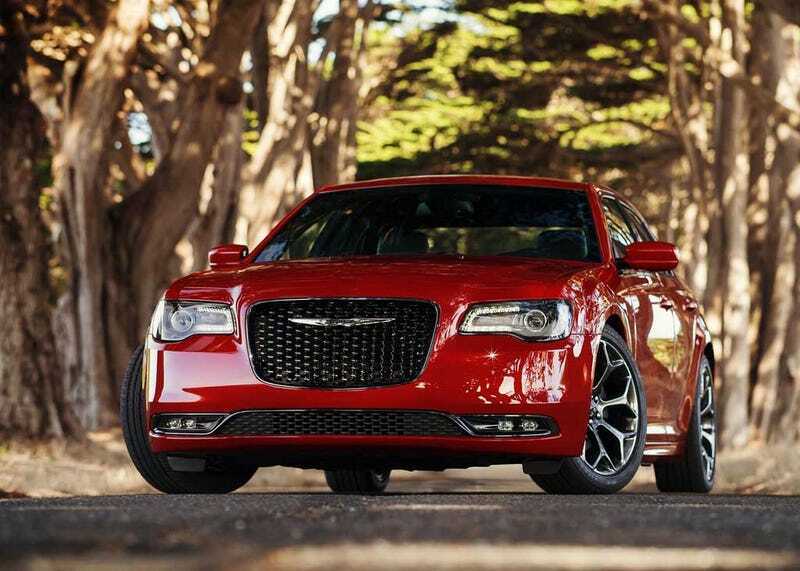 What's going on with Chrysler? Cadillac has has coming roaring back onto the world luxury stage in spectacular fashion. Lincoln is still sort of futzing around, but they do have a relatively solid and full lineup, as well as an understanding of where they need to be going if they want to stay relevant. And then there’s Chrysler. Under FCA, we’ve seen Jeep, RAM, and Dodge all make phenomenal leaps forward. Meanwhile, Chrysler still has an entire lineup consisting of three cars. There’s the 300, which has going for it some decent looks, good power, acceptable quality, and a relatively low entry price. There’s the smaller 200, which has essentially the same list of attributes. And then there’s the Town and Country, which is apparently set to receive a long-awaited redesign in 2017. Don’t get me wrong, I have nothing against Chrysler’s current lineup. I wouldn’t ever buy one of the three, but as I said, all three cars are perfectly legitimate purchase options within their respective markets. What I’m wondering is this: If Dodge has the handle on normal cars and the Durango, and Jeep is running the SUV show, Chrysler presumably exists as the luxury arm. So why are the only cars that this luxury company sells a slightly upmarket Charger, a car that really ought to just sit in Dodge’s lineup between the Dart and Charger, and a minivan? These three vehicles are not the makings of a luxury car company. Not even close. I realize I am not the target demographic here, but when I see a Chrysler, nothing in me thinks, “Oh, that person is doing better than someone who bought a Dodge.” Usually, I think, “Oh, that person is in town for a business meeting.” Why does FCA insist on having a luxury car brand that isn’t really that luxurious, and doesn’t offer many cars? I’m not saying they should get rid of the current lineup, but come on. Throw in a luxury version of the Durango, or the Compass, or the Challenger/Viper (okay, I get that those probably wouldn’t sell). A Hellcat-powered 300 would be super easy, and I’d have to imagine that with an SRT Dart allegedly in the works, a sporty 200 wouldn’t be hard either. Better yet, give something above the 300, or above the Durango/Grand Cherokee. Give us a retooled Quattroporte or Ghibli, which from what I understand could use retooling anyway. Give us an Escalade or Navigator competitor. Give us a followup to the Crossfire. Give us a modern PT Cruiser with a hybrid drivetrain for all I care. But for God’s sake, give us some reason to believe that America’s big three all remember how to make luxury cars. Of course, it’s possible that FCA has decided that what with sales of the three models doing reasonably well, there’s no real need to pour any more money into Chrysler. But that business plan, in my mind, can only last them so long.